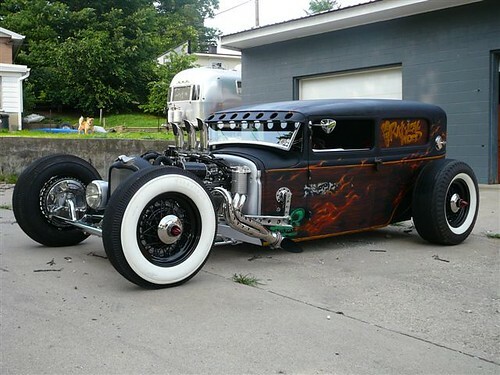 If you like Rat Rods we just added another Rat Rod in our Feature Car page as well as added an entirely new Rat Rod Page for nothing but Rat Rods. Check them out. The Rat Rod Page will be updated every time we find some new Rat Rods we like. We still have a lot of photos to post so there will be more coming all the time. If you have a rat rod and would like it to be included in our Rat Rod Page email some photos and we will get you on the web. If you have been to a show and seen a great rat rod, take a picture and send it on to us for our collection.